In my previous blog I referred to an informal discussion with a local GP on the subject of declining powers, and my fears of dementia. One sound piece of advice he offered was to develop new mental skills by taking on new challenges. It gave me the opportunity to raise some concerns I had over my crossword activity. In any other context these concerns would, perfectly correctly, be dismissed as self-indulgent nonsense. My doctor friend was more generous in his response. I expect that he is used to dealing with eccentrics and obsessives. For over three decades I have tackled, and almost always completed, the AZED crossword in the Observer. It is amongst the most difficult of the crosswords that is set by the same person each week. It has a unique charm. 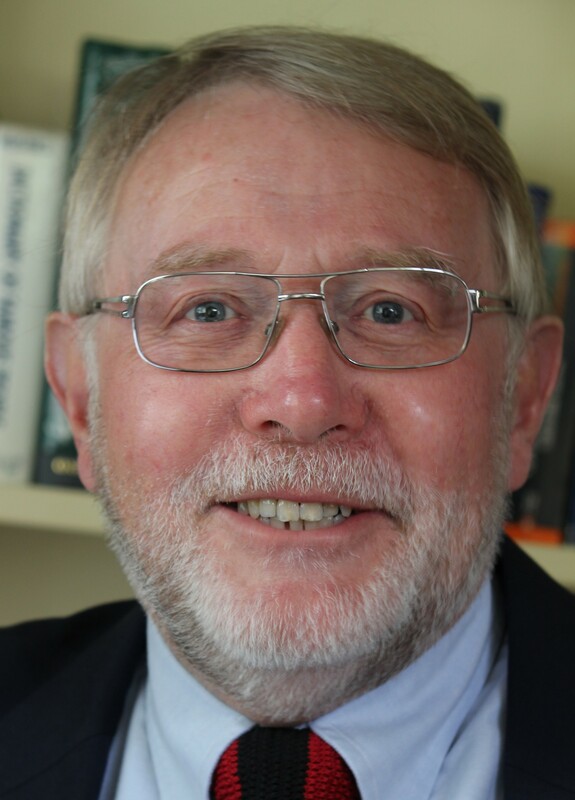 Every four years or so AZED solvers hold an event in Oxford to pay tribute to the setter, Jonathan Crowther, who, before his retirement, was a distinguished lexicographer with the Oxford University Press. Colin Dexter, the author of the detective novels, is a regular AZED solver. Indeed he named his character Inspector Morse after the late Sir Jeremy Morse, another AZED enthusiast. My efforts with AZED, while richly satisfying in themselves, have brought my limitations home to me. I have entered the clue setting competitions but never appeared in anything but the lowest category. However, and here is the link with ageing and dementia, I seem to be getting better. In retirement I am tackling the even more difficult Listener crossword in Saturday’s Times. When attempting the Listener, I need to make extensive use of the electric version of the Chambers Dictionary that is available as an IPhone app. Key in the four character string ‘? ?jj’ and it produces ‘hajj’ as the only feasible match; even better, key in ‘horsecart’ (or theses nine letters in any order) and it produces not only ‘cart-horse’ but the anagram ‘orchestra’. I’ve often wondered if this should be regarded as cheating – though if so I am only cheating myself. I ran this trivial moral dilemma past my Doctor friend and was greatly reassured by his answer. The key thing is to strive to learn new things and, if this technique encourages this activity, it passes the test. I no longer have any concerns and will continue. However I will not enter any technologically enabled solutions for the trivial prize that is offered each week; I would see this as unfair competition. My happiest childhood years were spent in a council house on a large estate on the western fringes of Cardiff. I attended the local church and was an enthusiastic member of their cub group. Now in later life, when I visit the city for the rugby internationals, I make a point of attending the early morning communion service: it is a heartening experience as the church is prospering under an exceptionally able vicar and offers an outstanding ministry to a disadvantaged local community. The sick are remembered in prayers during the service and last time I went I recognised one of the names: it was a classmate of mine at the local primary school. He was a lively boy and a talented footballer – centre forward for the school team. He is now 70 and I was shocked when the vicar told me that my former classmate was struggling with dementia. As a baby-boomer enjoying a comfortable retirement dementia is one of my biggest fears. I have no skills or talents beyond the cognitive and I dread the loss of this capability; I have been giving the matter a deal of thought – possibly, because of my anxiety, too much thought. There seems to be an endless flow of newspaper articles summarising, and almost certainly over-simplifying, the latest research. Unfortunately most often they are no help at all. What has proved of value was an informal discussion I had with a local GP; he isn’t my doctor but is a personal friend. In summary his views were that we must all come to terms with a decline in our powers as we grow older; this decline embraces both cognitive and physical skills. The challenge is how we cope with that decline. The sound advice he gave me has been repeated a thousand times: keep yourself healthy by taking exercise, have a good diet, avoid excessive alcohol consumption and don’t smoke. In addition develop new mental skills by taking on new challenges. As he put it to me: ‘when dealing with patients I often think, (but cannot say), what part of this don’t you understand?’. I can’t help but feel that my generation has developed an unfortunate mind-set. We seem to believe that we have a right to expect GPs and hospitals to offer cures for everything – irrespective of our own behaviour. You don’t have to be a Thatcherite to recognise that individual obligations must run alongside social provision. Some twenty years ago my wife and I lived in the North London suburb of Muswell Hill. I was very fond of the place: we had a lively community and a good bunch of neighbours. There was a vacant site at the end of our street and McCarthy & Stone purchased it and built a large retirement home. 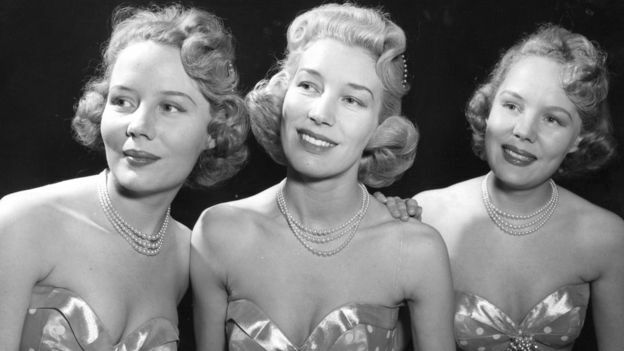 It was opened by the Beverley sisters, a female singing group prominent in the 1950s. Several weeks before the opening ceremony McCarthy & Stone sensibly invited all of us who lived in the street to an informal tea at the home to see the facilities: presumably, to forestall any potential objections on parking and traffic. One of my neighbours was a likeable alpha male in his 50s with huge energy. The effect of the visit on him was devastating. He had glimpsed the future and it terrified him. He reacted by buying a motorbike and embarking on an injudicious relationship that eventually led to the end of his marriage. He simply could not face the prospect of a sedentary life in old age – however comfortable his surroundings. The fact is that, if we are lucky to live long enough, we will all need to adjust to our declining powers. To pretend that this won’t happen is an act of irresponsibly towards the generations that follow. I’ve recently encountered the concept of ‘advance care planning’. It is a clumsy phrase with both a narrow and a wider meaning. The narrow meaning is about palliative care for the terminally ill; the wider meaning embraces the financial and organisational implications of ageing – the need to make a will and ensure that we minimise the problems of our own old age and its impact on our families. Evidently some people find facing the prospect of decline more difficult than others but we should all consider advance care planning. At a very early stage in my life I discovered that I couldn’t sing, indeed that I wasn’t at all musical. This was a cause of regret. I would love to have sung in a choir or, even better, purchased a guitar and joined the folksy, flower-power movement of the 1960s. My fantasy was to be invited to join Joan Baez on the stage. The reality was that I was hopeless, even when my voice was diluted with 50,000 others at Cardiff Arms Park. My father had a good, if untrained voice. He was an intolerant man and his response to my inadequacy was to repeatedly complain that ‘I didn’t try’. In this harsh way I learned the difference between motivation and ability – a distinction that has stuck with me ever since. I tried hard to sing (motivation) but could did not have the musical ear (ability). Understanding this distinction lies at the heart of effective performance management in organisations. If a subordinate is underperforming is it because they lack motivation or, they are trying hard but lack the knowledge and skills needed.? If the latter it is likely that supportive colleagues will cover up and assist them. I drew extensively on this model when working as a training manager. This all came back to me in a far more sympathetic atmosphere. 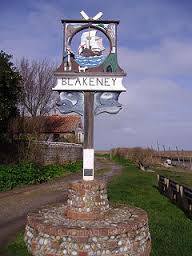 I am greatly enjoying my Monday afternoon Scottish Dancing at Blakeney Scout Hut. I try hard but am not very good. On Monday, Eddie, our excellent in instructor, had us moving around in a circle using the Strathspey travelling step. Witnessing my performance he simply said ‘you are not getting it are you?’, and pulled me out of the circle to place both hands on his shoulders behind him and try to copy his movements. My fellow dancers were encouraging rather than contemptuous of my limitations; they are a most generous group. By contrast Eddie was a little less tolerant later when he told me to take my hand out of my pocket when dancing – I certainly have the ability to manage this manoeuvre and should have demonstrated it. In a previous blog I argued that my immensely privileged generation have an obligation to care of our health and ensure, where we can, that we do not put avoidable burdens on a strained health service. Nevertheless there are inevitable consequences of ageing and one is that men in late middle age/early old age need to go the toilet more frequently. I am affected and formed one the target audience for a cleverly placed advertisement that appeared often throughout ITV’s coverage of the Rugby World Cup. This was for Urostemol; to quote ‘frequent night time urination? Urostemol is used to relieve symptoms related to an overactive bladder’. I decided to give it a try. The sympathetic looks I received were no compensation for my embarrassment. It will be all round my village and I can now expect sympathetic enquires on the product’s effectiveness. Retirement from work brings many advantages – not having to sit through interminable boring meetings springs most readily to mind. However I do miss having colleagues. Work forces you into contact with all sorts of different people and many long-term friendships are forged through shared experience in the workplace. Inevitably friends drift away as circumstances and tastes change. It is harder to replace them in retirement, particularly if you live in an isolated rural village. I was discussing this problem with my four year-old grand-daughter as we walked round our village. I told her how lucky she was to have a friend here (a neighbour’s grand-daughter the same age as her), whereas I was friendless. Her advice was forthright: ‘you should be less grumpy and more polite and talk to people about their farmyards’. I don’t know much about farmyards but I will do my best and see how if this new approach has any effect. Those of us who are in or approaching our seventh decade know how difficult it is to give up work we have enjoyed. I have no time for the glorification of crime and criminals; I was delighted when the last of the Great Train Robbers were finally brought to justice. 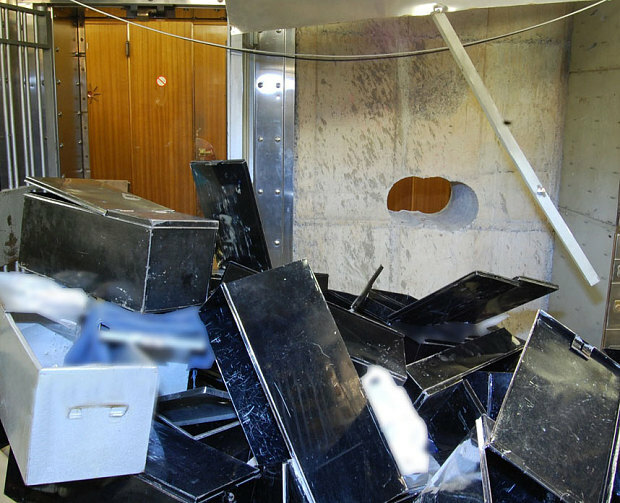 However there is a certain poignancy surrounding the current trial of those accused of April’s £14m London jewel robbery in London’s Hatton Garden. To quote from The Times, the oldest member of the gang, at 76, ‘used a train and then a bus to get to the vault in Covent Garden on the day of the heist…’ , moreover ‘given his pensioner status, the trip may well have been free’. In fact, later in the trial it emerged that he had borrowed (?) someone else’s bus pass for the journey. The Times went on to report that ‘Prosecutors said that he may have used his son’s mobile phone to communicate with the other burglars because he did not own one’. Everyone must be presumed innocent until proven guilty. However this looks to me like someone who may still be highly motivated but has failed to keep pace with the modern skill-set required. At 76 it was surely time to retire from crime and find new interests, preferably not involving any reliance on modern technology.